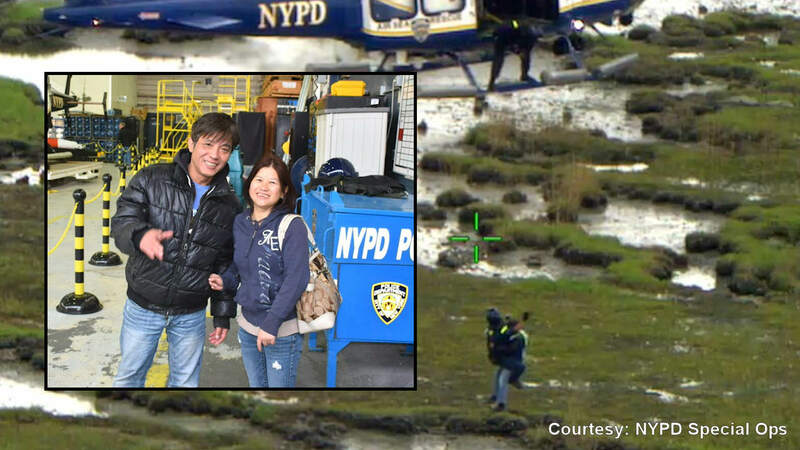 NEW YORK (WABC) -- An NYPD helicopter was flying over Jamaica Bay Tuesday afternoon, when two boaters signaled the chopper for help. Aviation hoisted a 50-year-old woman and 52-year-old man to safety. The boaters had been stranded since Monday off the inaccessible island Canarsie Pol. Both of the victims refused medical attention.